Beauty Blogger's have a right to change their minds. It covers the eyelashes in 360 degrees. It DOES NOT smudge or smear. It comes off completely with warm water when you wash your face. I LOVE not having the extra black smudge in the morning, that I need to get off with eye make up remover. It gets the short little hairs that are so difficult to find. 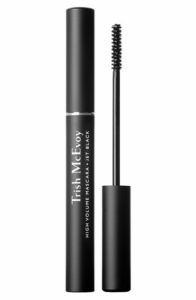 Trish McEvoy is a true beauty icon and I trust her products implicitly. Here is a TBT from when I first started my beauty business. Don't forget, I've always sworn by her Eye Brightener Pencil. I say it's like an eye-lift in one swoop. Blend directly under brow for a highlighted and lifted look!